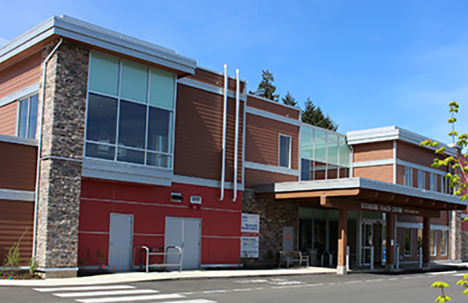 The Nanaimo & District Hospital Foundation was founded on December 30, 1977 as a means for grateful patients and loved ones to support Island Health facilities. Today, we purchase vital equipment to ensure healthcare excellence in the Central Vancouver Island region. Our donors help Island Health to provide the highest quality healthcare services for everyone who needs them right here at home. Since inception the Foundation has stewarded donations to support improved facilities and has assisted in the funding of leading edge medical equipment to ensure our healthcare professionals have the tools they need to do their jobs. The Nanaimo & District Hospital Foundation has become Central Vancouver Island’s Charity of Choice. With the philanthropic support of the business & professional community, service organizations and residents at large, we are the role model for responsible, ethical giving and we help advance excellent healthcare. The Foundation’s organizational values mould and direct the considerations, decisions, and actions of our Board of Directors and staff. These values reflect and shape the culture of the Hospital Foundation. The Foundation also owns and operates two revenue-generating businesses: Nanaimo Lifeline and the Code Brew café. Code Brew is in the lobby of the NRGH. NRGH is a designated Acute Care Facility. It has over 200 acute care beds, plus over 20 long-term care beds. 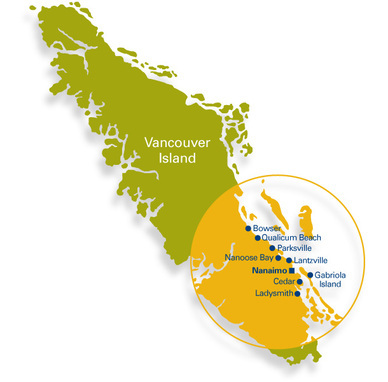 Is the primary care facility for the communities of Bowser, Cedar, Gabriola Island, Ladysmith, Lantzville, Nanaimo, Nanoose Bay, Parksville and Qualicum Beach. 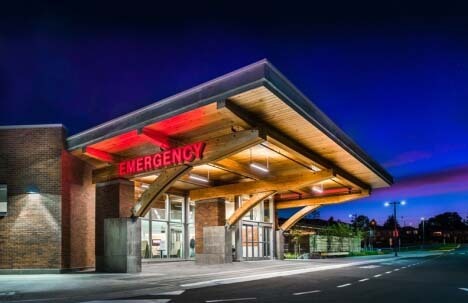 Is the designated regional referral hospital for communities north of Victoria, including Port Alberni, North Island, and the Island’s west coast. The Oceanside Health Centre is a new health care facility operated by Island Health. The facility opened in June 2013, delivering an augmented approach to care by providing patients with team-based primary and community services that focus on prevention, wellness and disease management, as well as urgent care services that provide same day medical care for medical issues that require immediate attention. 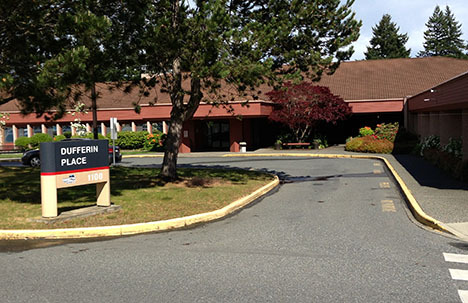 Dufferin Place Extended Care Facility was built in the spring of 1987. The single storey building consists of three wings, each radiating from a central “L” shaped activity/dining area. Resident rooms consist of primarily four-bed rooms with a limited number of two and one-bed rooms. Special bathing facilities are included in each wing. The building is equipped with ceiling mounted lifts throughout. 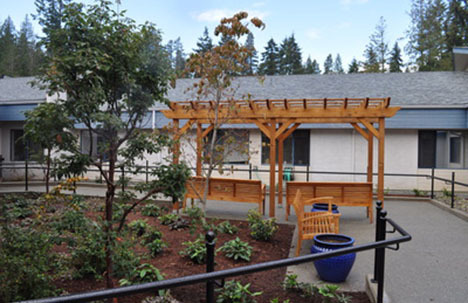 Eagle Park Health Care Facility, built in 1994, is located on a 5 acre wooded site beside the Qualicum Beach Aquatic center. The single story facility is divided into three units, each one having a dining room, lounge area and access to secure outside gardens. The green unit is a designated special care unit for residents with dementia who need a calm, secure environment.